A gardener’s plant choice and garden style are inextricably linked to the place they call home. In order to grow a flourishing garden, every gardener must know the specifics of their region’s climate, soil, and geography. 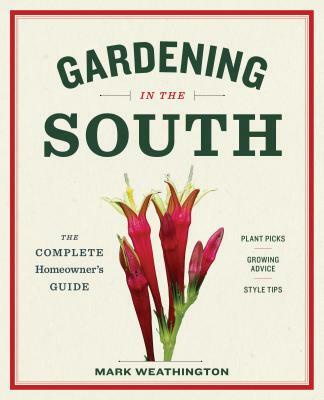 Gardening in the South is comprehensive, enthusiastic, and accessible to gardeners of all levels. It features information on site and plant selection, soil preparation and maintenance, and basic design principles. Plant profiles highlight the region’s best perennials, annuals, trees, shrubs, and bulbs. Color photographs throughout show wonderful examples of southern garden style. Gardening in the South is for home gardeners in Virginia, Kentucky, North Carolina, South Carolina, Georgia, Alabama, Mississippi, Arkansas, and Louisiana. Mark Weathington is the director of the JC Raulston Arboretum at North Carolina State University. As a devotee of low-input gardening, he searches for ornamental plants that provide beauty and utility to the garden without needing a surplus of time, energy, or chemicals to grow and thrive. Weathington spreads the word about these great plants in dozens of lectures a year, articles in most major gardening magazines, and a weekly newspaper column.